The crescent sighting for Ramadan and Eid(s) has been a point of dispute among Muslims for a long time. As the Muslims have spread in all parts of the globe including non-Muslim countries this problem has grown many folds. Every time when Eid and Ramadan come, instead of good wishes and warm feelings among Muslims, a bitter and heated discussions take away the joy of celebration. In one city various Muslim groups start and end Ramadan on different days. Some times Eid is celebrated in one city on three different days. Why is this happening? Why is it worsening? Can this be solved? Let's discuss this problem in detail. Let's discuss the situation in Muslim countries first. Keeping this problem in mind, we can divide Muslim countries into two categories. Just to avoid any misunderstanding among Muslim brothers and sisters, I will not mention the names of these countries. First category of Muslim countries include the countries where the form of government is dictatorship (although, the governments of these countries claim that they have democracy in their countries but that claim is false based upon the Islamic principles of government as well as the modern principles of democracy). The government in each country has established a committee. The members of this committee observe the crescent and/or receive the witnesses from the public who might have seen the crescent. After sighting or non-sighting of the crescent, the committee decides the dates for Ramadan, Eid, Hajj, etc.. and sends the decision to the government, possibly the head of state. The head of state approves the decision and issues a decree OR announcement for Ramadan or Eid. Everyone in the country accepts the announcement. NO ONE DARE TO DISPUTE THE DECISION. Everyone in the country starts and ends Ramadan on the same day. Eid-ul-Fitre and Eid-ul-Adhha is celebrated on the same day all over the country. No questions of "firqas" (sects) and "Fiqqas" (jurisprudence) asked. The second category of Muslim countries are those where restricted democracy prevails. These countries may not be as democratic as Islam requires, but still these countries do not have dictatorships as well. In these countries the governments have more or less the same setup for crescent sighting as in the category 1 but everyone has the right to inquire about the decision and every Imam Masjid can dispute the decision. If the Imam of Mosque or Imams of several Mosques think that the announcement from the government is not correct, they make their own announcement and declare Ramadan and Eid on different days. This causes differences among Muslims. Some celebrate on government's announced day. Some celebrate on the day announced by Moulvees (Imams of Mosques). Most often the division gets so deep that the people of one part of the country or people belonging to a specific "FIRQAH" (sect) celebrate on one day and the rest of the people celebrate on the other day. Some time Eid is celebrated on three different days in various parts of the country while the country is not even half the size of State of Texas. Lets discuss the situation in non-Muslim countries and continents, North America, Europe, South and Latin America, Australia etc... In these countries either individual Muslim organizations OR Imams of Mosques make the decision on crescent sighting. We can divide the Muslim organizations OR Imams in non-Muslim countries into five categories. The first category includes the Muslim organizations or Imams of Mosques those strictly follow the rule of crescent sighting defined by the Messenger of Allah, Muhammad (peace be upon him). The rule is very simple. "When you see the crescent for Ramadan, you start Ramadan and when you see crescent for Shawwal you end fasting. If it is cloudy and people are unable to see it, complete thirty days of fasting and then celebrate Eid". The second category of Muslim organizations and Imams of Mosques in non-Muslim countries are those follow the scientific / astronomical calculations. They decide Ramadan and Eid based upon the expected crescent sighting dates. They establish calendar for the entire year and follow their calendar. The Ramadan and Eid days of their calendar may or may not coincide with the category one group. The third category is the largest of all groups. In this category organizations and Imams try to combine principles of category one and two as mentioned above. But this causes a problem. Some organizations or individuals give more weight to the sighting of the crescent and less weight to the astronomical calculations, while some organizations and individuals do the opposite. Therefore, no unanimous decision can be made. Various Imams and organizations make their own decisions. The fifth category of Imams and organizations is that who would take the crescent sighting dates from the nearest Muslim country OR a Muslim country with which they share a portion of night and day. For example Morocco and Spain has little difference in their night and day timings. This decision making is common in Europe. For example, if the crescent has been sighted in Morocco or Algeria the people in France or Spain would also consider this crescent for their area of residence and observe Ramadan or Eid. There is no doubt that all these individuals, organizations and Imams have good intentions in their hearts and thoughts. They all know that one-day they will be standing in front of their Lord, Almighty Allah and answering about their decisions. They will be accountable for those decisions. All of them want to unite Muslims not to divide them. But the reality of the matter is that the Muslims are getting more and more divided on this issue. Once a companion of Prophet (Peace be upon him) came in Madinah from a distant village during the period of Muhammad (peace be upon him). When he arrived the Muslims of Madinah were fasting. He told them that he was not fasting because last night, the crescent had been sighted in his village and the people of his village would be celebrating Eid today. Although, he himself was not fasting but he waited till the next day and celebrated Eid with the people of Madinah. This proves the permissibility that far distant cities or villages can have different days of Eid and Ramadan depending upon the decision made by the authorities of that location. 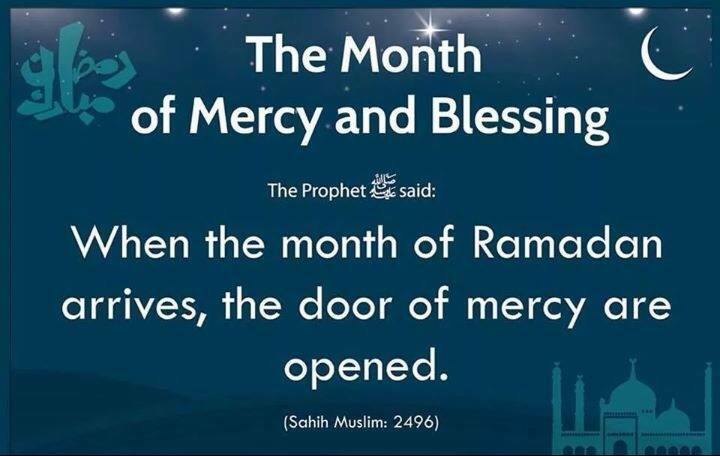 Prophet Muhammad (peace be upon him) OR the companions of Muhammad (peace be upon him) never asked that the entire Muslim population of the world should start Ramadan same day or end same day Or celebrate Eid-ul-Fitr same day. During the Khilfat of Sayyidna Omar Farooq (May Allah be pleased with him) Islam reached far and wide. Did he ever give any instructions to his regional governors to make sure that all the people of their region must celebrate on one day OR they should celebrate when people of Madinah celebrate? No, he never asked. Don't we know that Muhammad (peace be upon him) has already given us the principle for starting and ending Ramadan and Eids? Don't we think that by deviating from the principle defined by Muhammad (peace be upon him) we are not only creating distortion (Bid'a) in Islam but we are also doing some thing knowingly against the instruction of the Messenger of Allah (peace be upon him). There could be several sources of dispute among Muslims. Some of them are as follows. Sectarian Differences: The jealousy and sectarian differences of Muslim organizations and Imams are one of the major sources of division among Muslims. We divide Muslims in the name of Islam and Allah in order to protect our control and monopoly over a mosque or a geographical area. The Information Flow: We know that during the period of Prophet Muhammad (peace be upon him) OR during the period of Companions of the Prophet (May Allah's blessings upon them) the information flow was extremely slow compare to present days. We now have telephones, TV, Radio, Satellites and above all Internet. We can find out in USA what is happening in Saudi Arabia in real time. These facilities were not available during Prophet's (peace be upon him) or his companions time. Therefore,, why can't we use these fast communication systems and follow Saudi Arabia's crescent in Canada or US? This way the Muslims around the world would be able to celebrate Ramadan and Eid on same days. Hence expressing Muslim unity. This intention may be good one but it has not worked. It has divided more Muslims than uniting them. Did we ever think that this is an innovation (Bid'a) too? Did Prophet Muhammad (peace be upon him) sent his companions from Madinah to the near by villages or towns informing them that in Madinah crescent has been sighted, you people should also follow us? Prophet Muhammad (peace be upon him) could have sent his companions within a few hours of horse ride to inform people about the sighting of crescent in Madinah. Certainly, Prophet (peace be upon him) never did this neither his companions. It proves that the information flow from Madinah (now part of Saudi Arabia) to other parts of the world regarding Ramadan and Eid dates is not required neither desired in Islam. Forcing people in North America, Europe, South America or Australia to observe Ramadan and Eid on the day when Saudis observe them is an INNOVATION (BID'A) in Islam. It is not a valid Ijtihad. In Canada or USA, do we offer our five prayers based upon the prayer timings of Saudi Arabia. We see the five prayers offered in Makkah or Madinah in real time through satellite in North America but we never follow those timings. Astronomical Calculations: What about deciding the dates of Ramadan and Eid by using astronomical calculations? Yes, we may take advantage of these scientific methods but relying completely on these methods alone is not correct. These tools and methods can help us in making decisions. Influence on Muslims from Non-Muslim Celebrations: We, specially the Muslims living in North America, South America, Europe and Australia have seen the celebrations of non-Muslims. Christmas is celebrated all over the world on the same date. Honneka is celebrated everywhere on the same date. Diwalee date is never disputed. Chinese New Year date......., no problems. Why Muslims have problems with the dates of Ramadan and Eid celebrations? This is a very good and right question? Celebrating Eid on the same day by all the Muslims all over the world will not bring unity among Muslims. It is a wrong, unrealistic and un-Islamic approach. It has divided Muslims than uniting them. Muslims came to this world to impress and influence other cultures and religions NOT to get influenced by them. The love for Allah and His Prophet (Peace be upon him) and constant struggle in the path of Allah. The respect for fellow Muslim's life, his/her property and his/her rights. During 1999, in one of the Western Canadian cities, the Imam of a Mosque announced Eid-ul-Fitr on 29th Ramadan in Jum'a prayer (1:30 PM) because in Saudi Arabia the crescent was sighted and Eid was announced. In year 2000, the same Imam did not follow Saudi Arabia and relied on local crescent sighting, and celebrated Eid on the next day after Saudi Arabia. In 2001, again local crescent sighting was not even considered and the start of Ramadan was announced at Zohar time. What kind of "FIQAH" (Jurisprudence) is this? Is it a matter of convenience? OR do our Imams make decisions based upon "pressure groups"? In year (2000), the Imams of Mosques in another Western Canadian city announced for the Eid prayer on 29th Ramadan at about noon time (no wait for sunset) that the Eid will be tomorrow because Saudi Arabia has announced for Eid on Friday. At the same time these Imams were asking the people to see the crescent in the evening and let them know if they see the crescent. No one saw the crescent (at least to my knowledge) but Eid was celebrated as announced. Is this not a joke with Islam? Why these Moulvees were asking people to see crescent in the evening while they had already made the decision? There are several other horrible jokes which some of our Imams are making with the Shari'a. They do not care to fulfill the Sunnah of the Prophet (peace be upon him) of crescent sighting? Why bother to look for crescent? May Allah give us refuge from Satan. The predetermination of Ramadan and Eid dates or following Saudi Arabian or other Muslim country dates has taken away a very important component of Ramadan and Eid celebrations. That component is Crescent Sighting. Crescent sighting is a part of celebrations. Our new generation born in North America, Europe, Australia etc. does not even know what crescent sighting is? Why is it important? In Muslim countries on the evening of 29 Sha'ban or 29 Ramadan all playgrounds, open fields and tall buildings used to get filled with hundreds of adults and children to see the crescent for Ramadan. OR Shawwal. The jubilant children and adults with anxious eyes, excited and happy used to look for crescent at Maghrib (sunset) time. Each person asking the other have you seen crescent? Have you seen the crescent? If someone would have seen the crescent he used to get very excited, as he is the luckiest and important person among that crowd. People would gather around him and he would point his finger in the direction of the crescent to show the other people where the crescent was? After observing the crescent Muslims used to make du'a. After Maghrib, the children used to rush towards their homes and say Salam to their parents, specially mothers , sisters and grand mothers and tell them their achievement of crescent sighting with pride. The entire family used to celebrate the eve of Ramadan and Eid(s). Do we know why have we taken away this Joy and FUN from ourselves and from our children? Imagine the Muslim community in all cities of North America getting-together on the eve of 29th Sha'ban, 29th Ramadan and 29th Dhulqa'dah in large playgrounds or open fields and celebrating the evenings of these months and looking for crescent. This will be a joyful eve for the entire family and community. It will also expose Islamic traditions to the non-Muslims and above all a fulfillment of our beloved Prophet's (peace be upon him) Sunnah. What is the best way for deciding the dates for Ramadan and Eid? The best rule for deciding the dates for Ramadan and Eid is ONLY ONE rule. That is the rule defined by Allah's Messenger (peace be upon him). Rule: When you see the crescent for Ramadan, you start Ramadan and when you see crescent for Shawwal you end fasting. If it is cloudy or people are unable to see the crescent, complete thirty days of fasting and then celebrate Eid. This crescent sighting must take place in each city, village and town. In non-Muslim countries a committee comprising of Imams of all the mosques with all school of thoughts and other pious Muslim residents should decide the start and end dates of Ramadan. The entire Muslim community of each city, village and town should participate in crescent sighting exercise. If at least two-trust worthy Muslims of a city or town are able to see the crescent they should testify in front of the committee and committee should decide the dates. If no one from the city or town is able to see the crescent, everyone in the city or town complete thirty days of fasting and then celebrate Eid. Why the Muslims of North America, Europe, South America, Australia, etc.. can not decide for themselves based upon the local crescent sighting? Allah has already given us Hajj days to be physically, mentally and spiritually in Saudi Arabia. Other than this we should be able to make our decisions based upon the Sunnah of Muhammad (peace be upon him). Brothers and Sisters, we must go back to the way of Rasool-ullah (sallallaho alaih-e-wasallam). Lets don't take away the Eibadah (worshipping) and joy of Crescent Sighting from Muslim Ummah. We should make decisions based upon local crescent sighting. May Allah give us the correct understanding of Islam. May Allah help us to be able to recognize and practice the will of Allah and his Prophet (peace be upon him). May Allah make us humble not only in front of Him but also in front of people. May Allah bless us with unity and love for Muslim Ummah. Ameen. (I have told you what I understood. The right knowledge is with Allah).